Please click the logos above to read my reviews of The Last Word and Black or White for Radio Times. Please click on the image above to read my article “What The Hell Happened to Kevin Costner?” for Little White Lies, analysing the actor’s career and looking at where he could revive his fortunes. 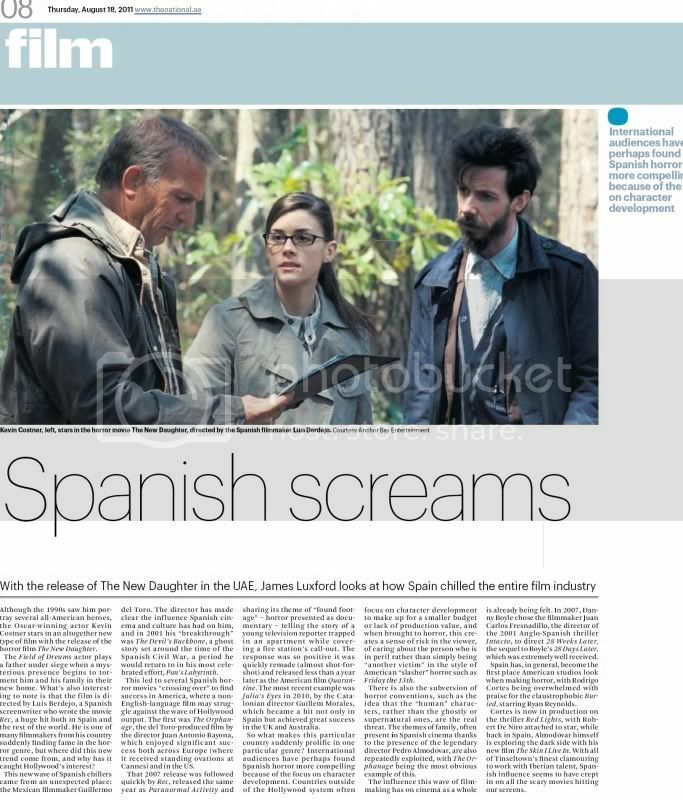 “Spanish Screams”, an article on the rise of Spanish horror movies. To read the article, please click here to go to the national’s website.